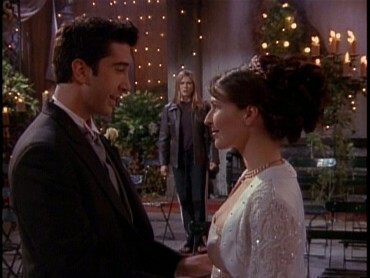 Episode 4x23 (The One with Ross’s Wedding [Part 1]) is, as usual for a season finale, a two-part episode. 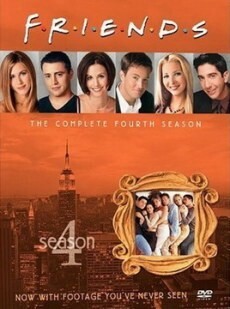 At least, that the case with the TV Version. The Extended Version on the other hand is one single episode and the first part contains approx. 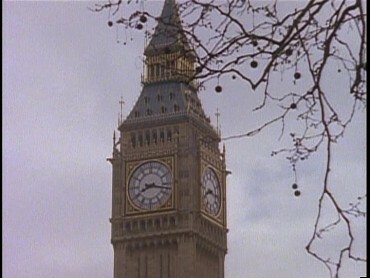 3 additional minutes of footage, among them several little further scenes in London. 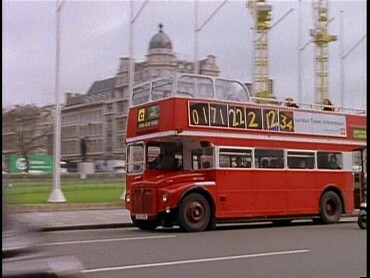 On the other hand, there is one recut with some exclusive footage in the TV Version. 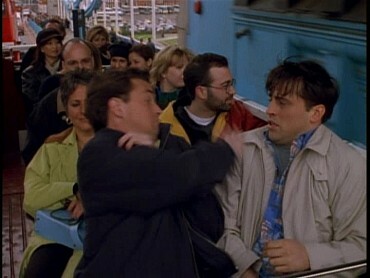 Chandler insignificantly longer in the TV Version (no screenshots). 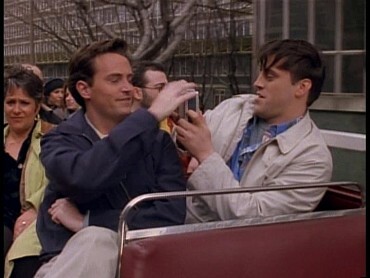 In the Extended Version, Joey says instead: "What do you got there?" 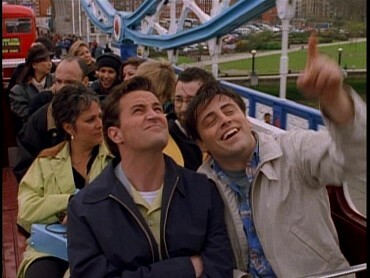 Joey: "How come the writing is in Spanish?" 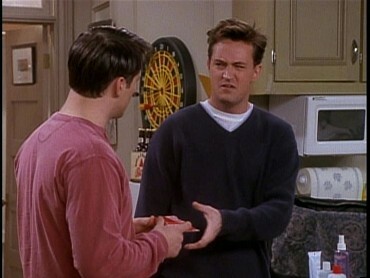 Chandler: "Don't read my condoms!" The following shots lack a few frame every now and then. 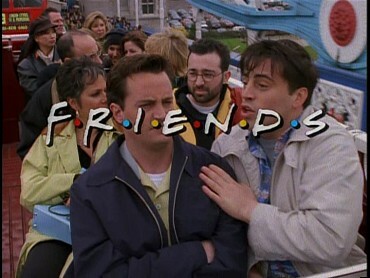 Interestingly enough, the Extended Version contains entirely new opening credits footage from this very two-part episode. 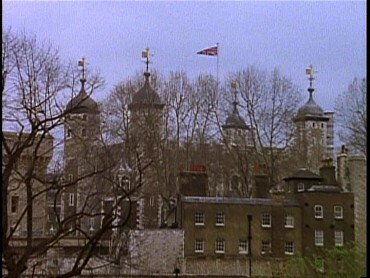 And instead of a black screen, the Extended Version contains an additional exterior shot subsequently afterwards. 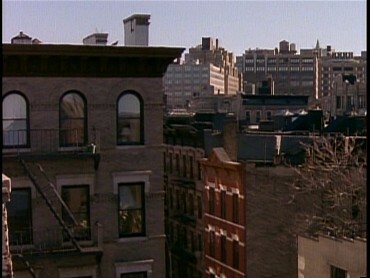 Once again, the following shots are a few frames longer / start a few framess earlier. 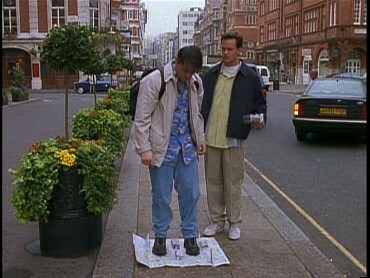 Joey makes a step forward on his map of London. After the misunderstanding with the timeout signal (to which Emily responds with "Well, up yours too! "), she once again asks in the Extended Version: "Oh, that's not what it means?" 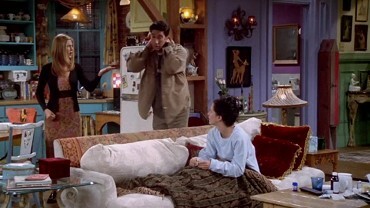 Subsequent to the salmonellae comment, Monica simply can't shut her trap: "But of course with salmon you'd have to worry about the chickenella..."
The TV Version contains a smooth transition from the shot of Ross and Emily to the subsequent one (no screenshots). The Extended Version contains a medium long shot instead, followed by some montage - music included. 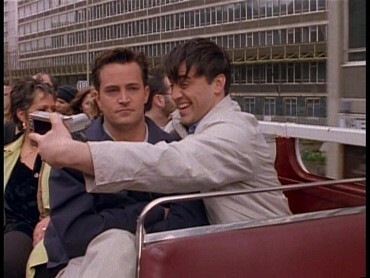 Joey is thrilled by all the tourist attractions while Chandler seems rather annoyed. When Joey then sleeps, he keeps trying to get his camera - but he fails. Now an additional scene with Monica and Emily. The former picks a dress, the latter still panics. 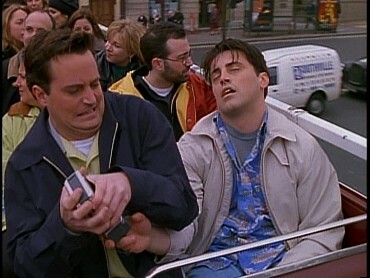 Monica: "Don't worry. You'll find some place to get married." 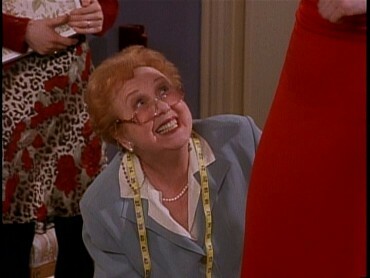 The employee puts a needle in the dress and pricks Monica in the process. Employee: "Sorry. Lucky this dress is red!" Emily: "We can't find another place. Then we can't have the wedding! I've ordered chicken and salad and-and cake for 150. What should be the most wonderful day of my life is rapidly turning into just Sunday with a spectacular amount of food!" 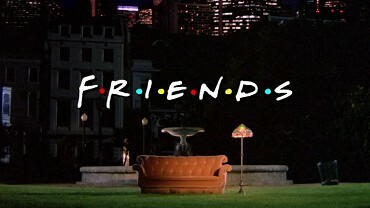 Monica: "You're gonna find a place. But even if - God forbid - you didn't.. So you postpone the wedding. Is that really so bad? I mean, think about it. You could take all the time you needed to get everything that you want. 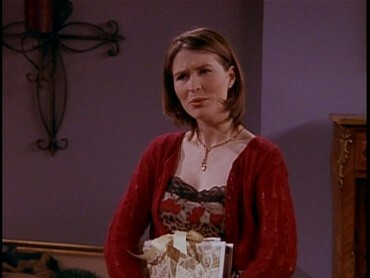 You could have tulips, you could have salmon.... Mmmmm... Salmon!!" 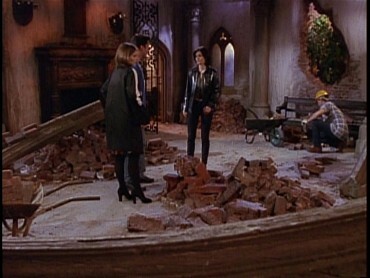 Emily: "I suppose it wouldn't be the end of the world... Oh, thank you!" 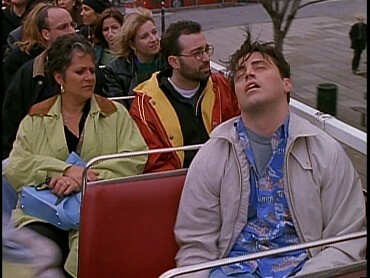 Monica: "But either way... You're gonna get married, you're gonna be happy, my mom's gonna like you better than me." Emily laughs a little hopycritically. 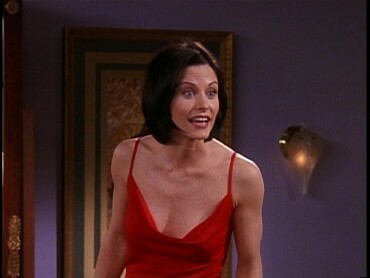 Monica: "Oh, god... She's told you that already, didn't she?!" 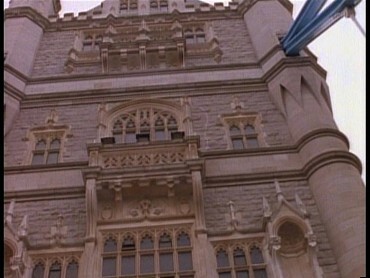 Last but not least, an additional exterior shot.